FPMT offers musical theatre classes for three different age groups throughout the year. Some classes may not be offered each semester. We rent and perform on local Jr/Sr High school stages in the NW Metro area. This class is not in session the Winter/Spring Semester. Check back for Summer Camps for this age group! This class is perfect for both first-time students and experienced actors. In our "Explore Musical Theater Class" children will learn the basics of theater, such as clear speech and diction, facial expression, beginning dancing and singing skills. Good for first time students at FPMT or returning students that love a smaller class setting. Your child will have FUN, make new friends and learn musical theatre skills, gaining confidence performing first in front of their teachers, their friends and then a live audience! A mini-musical will be performed on stage at the end of the semester. We provide materials and most costumes, but parents may be asked to help at home and have fun being creative with their child. This Class has 3 different, separate casts, each performing the same show. ​Choose from Monday, 6-7:30pm OR Tuesday, 4:30-6:00 OR Thursday, 4:30-6:00pm. Students audition for roles the first week of class and every student is given a special part in the show. This may be a speaking part, a vocal solo, a featured dance, or a special acting role. During class all students spend time with FPMT's excellent dance choreographers, vocal directors and drama directors. At the end of the semester, students perform a full-stage ticketed production including costumes, sets, makeup, and lighting in front of a large audience on a local school stage. FPMT often provides most of the costumes, but students may be asked to help create fun costumes pieces at home. This class features our oldest students and will perform our biggest show of the season! Experienced and new theatre students welcome! ​This class meets Tuesday AND Thursday, 6:30-9pm. Last month of the semester class meets 6:30-9:30. ​SHOWTIME students audition the week before classes start for roles in the show and all enrolled students are cast in the show. All students work with experienced, excellent vocal coaches, choreographer/Dance Coach and drama directors to rehearse solos and ensemble harmonies, to perform exciting choreographed dances, and work in depth on acting, characterization skills. The semester concludes with a full-stage ticketed production including costumes, sets, make-up, microphones, lighting and a large audience. Each class performs multiple times during performance weekend(s). FPMT provides most costumes, but students may be asked to provide some costume pieces, basic undergarment clothing, a theatre makeup kit and dance shoes. 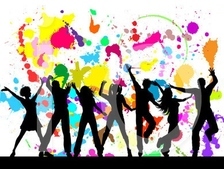 Ages 12-18 class meets Monday, 7:30-9pm. ​Theatre Dance Classes at FPMT are great opportunities for students ages 7-14 and 12-18 to learn choreographed theatre dance routines to Broadway Showtunes. These are FUN, excellent dance classes! Students will work with a professional theatre dance choreographer in a small group setting with individual attention. Experienced and new students welcome! This class is also perfect for actors wanting to improve their character through movement, poise, posture in their own productions. ​Past students that have taken this class have demonstrated greater confidence and speed in learning new material and have consistently been among the best dancers at Front Porch for their commitment to improve. The Front Porch Singers Choir! FUTURE CLASS! Let us know if you are interested! As soon as we have the interest, we will hire staff and run this class again! Join this Choir and be one of the first Front Porch Singers! You will have so much FUN singing a wide variety of songs, including popular musical showtunes. Receive EXCELLENT vocal training with an amazing Choir Director with extensive experience. Vocal skills taught will include singing harmony, solo work, proper breathing techniques, diction, articulation and expression. VERY affordable for group "voice lessons" within a Choir setting! 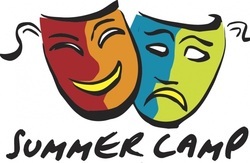 ​Summer Camps offer Acting Classes! Theatre Acting Classes are a great way to improve a student's acting skills in a small group setting with excellent instruction. Focus may be on preparing for an audition, improvisation, character development techniques. Acting classes are great opportunities for students of all skill and experience levels to improve acting techniques and have some fun with other student actors! Actors will develop creative thinking, confidence and teamwork skills. Acting camps/classes prepare a student for the stage. Acting camps/classes are not only for the acting enthusiast but can be a great confidence booster for anyone looking to become more comfortable speaking in public. Come prepared to be challenged, learn and laugh! Drama offerings vary according to schedule and availability of instructors. SUMMER CAMPS are a great opportunity for students between the ages of 5-18 to spend a summer week taking a Dance Camp, a Drama Camp, a Sing & Dance Camp, a Musical Theatre Camp, or to join The Front Porch Singers, a summer Choir! Camps rehearse and then put on a performance for friends and family the last day of camp! We offer several camps for various age groups and interests. Have fun with friends singing new songs, learning the choreographed dances, working on acting skills and then performing a show on the last day of camp! ​Camp performances are complete with stage, costumes, makeup, sets and an audience. Tuition fees vary by summer camp.